Expand your TV SoundBox™ by adding another receiver! Allow more than one person to listen to TV in different parts of the house. Additional recievers can be permanently placed in other rooms of your house. 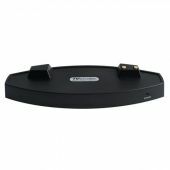 TV SoundBox™ base can support up to 50 additional TVSoundBox™ Receivers. Q: What can I use the TV-SB for around my home? A: The TV-SB brings the TV sound to you, without blaring loud volume or straining to hear from afar. It’s wireless, so you can take it anywhere in your home. Q: I want to put the Receiver at a fixed location, what do I have to do? A: That is easy. 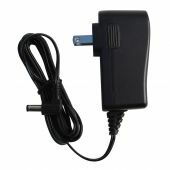 Just purchase an AC adapter from Serene and plug it into the Receiver as a power source and for recharging the battery. That way, you don’t need to put the Receiver on the Base for recharging. Q: What is the "Turn-on" time for TV-SB? A: You will hear crystal clear tv sound within 2-3 seconds of turning on the receiver. Q: I want to be able to hear my TV at various locations in my home without moving the Receiver. How can I do that? A: It’s easy. Purchase additional Receivers (you have as many as you wish) from Serene. The set-up is simple. Q: I connected the Base to the Earphone jack. Why is there is still no sound? A: On some TVs, you need to activate the Earphone jack. Use your TV remote to go to the TV setting menu, select Audio and follow the instructions in your user manual. Q: I connected the Base to the TV Audio-out ports. Why is there is still no sound? A: On some TVs, you need to activate the Audio-out ports. Use your TV remote to go to the TV setting menu, select Audio and follow the instructions in your user manual. This is recommended for best sound effects. This solution can be used only if your TV has an Optical-out port on the back panel. Q: Can I mute my TV and still listen to TV through my TV Soundbox®? A: Yes, you can. If you encounter difficulties, please consult your TV’s user manual. You may need to adjust the TV Audio setting. Q: Do I need to turn the Base off after shutting off the TV? A: No. After you turn off your TV, its power indicator will remain on, but the Base turns itself off three minutes after you shut off your TV. Q: What happens if I forget to turn off the Receiver? A: We recommend you turn off the Receiver, but if you don’t, the Receiver will turn itself off three minutes after the TV is turned to standby mode to conserve battery. To turn it on again, turn the Volume knob to Off and then to On again. Q: How do I know that the battery is running low? A: The low battery charging indicator on the Receiver will blink. Q: How do I know that the battery is being recharged? A: When you put the Receiver on the Base for recharging, the low battery charging indicator on the Receiver will blink while recharging. When fully charged, the indicator will remain steadily lit. Q: How do I know that the battery is fully charged? A: The low battery charging indicator will stay steadily lit. Q: What type of battery is used? A: A lithium rechargeable battery is built-in to the Receiver. It will stay charged for 8 hours (typical usage) before you need to recharge. A: The battery is not replaceable by the user and it will last for years. If the battery needs to replaced or serviced, please call our Customer Care Department for instructions. Q: How many Receivers can be used with one base? A: You can use up to 50 additional Receivers as you wish with the same base. Q: What is the range of the Receiver? Q: How do I know that I am out of range? A: You will hear more static than usual and the sound will be choppy. Q: How can I use the TV-SB in a group situation, for example, in the recreation hall of a senior home? A: You can set up different TV-SB for each TV (which can be tuned to different channels) for each group of viewers. The paired Receiver will automatically tune to and receive sounds from its dedicated Base. Q: How can I use TV-SB in a public facility like a sports bar or classroom? A: You can set up different TV-SB for each TV and the paired Receiver will automatically tune to and receive sounds from its dedicated Base.